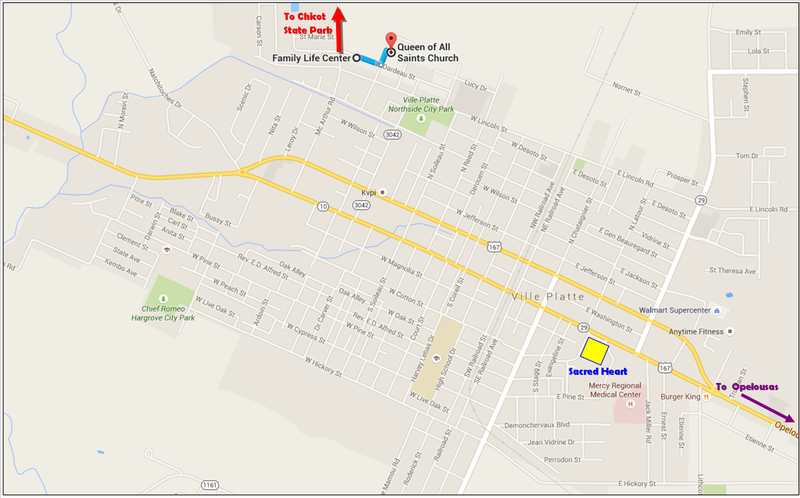 The OLQAS Parish Office is located in the Family Life Center, just down the street from the Church. 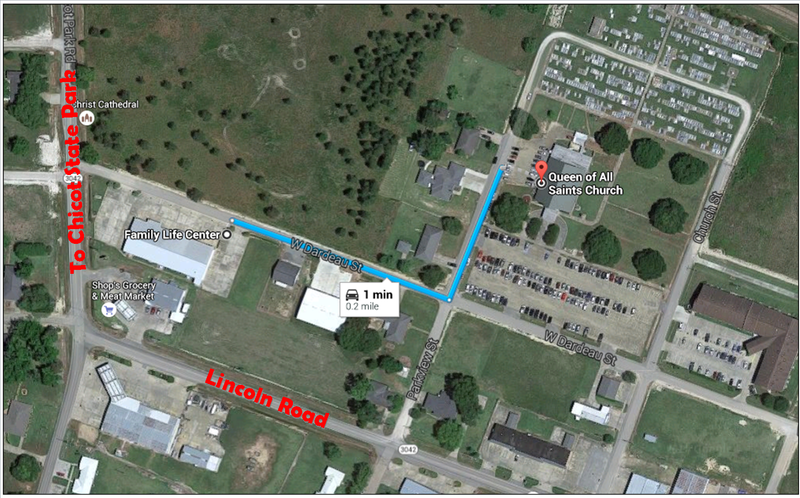 The mailing address is 1220 W. Dardeau Street, Ville Platte, LA 70586. We welcome all new members to our parish family. If you would like to register as a parishioner of OLQAS Church, please download the following census form; complete it; and return it to us (in person, by mail, or by email). To download the census form, click here. Close-up satellite view of OLQAS Church and Family Life Center.